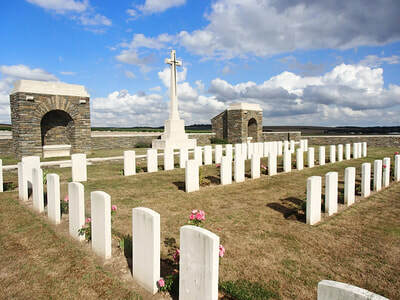 Bray-sur-Somme is a village and commune in the Department of the Somme, 8 kilometres south-east of Albert and 16 kilometres west of Peronne. Bray Vale British Cemetery is on the east side of the town of Albert. 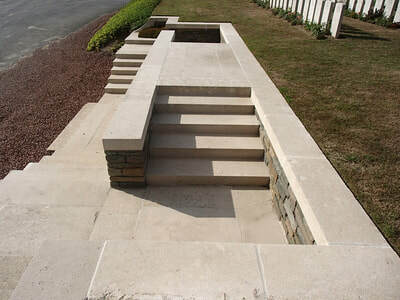 The location or design of this site makes wheelchair access impossible. 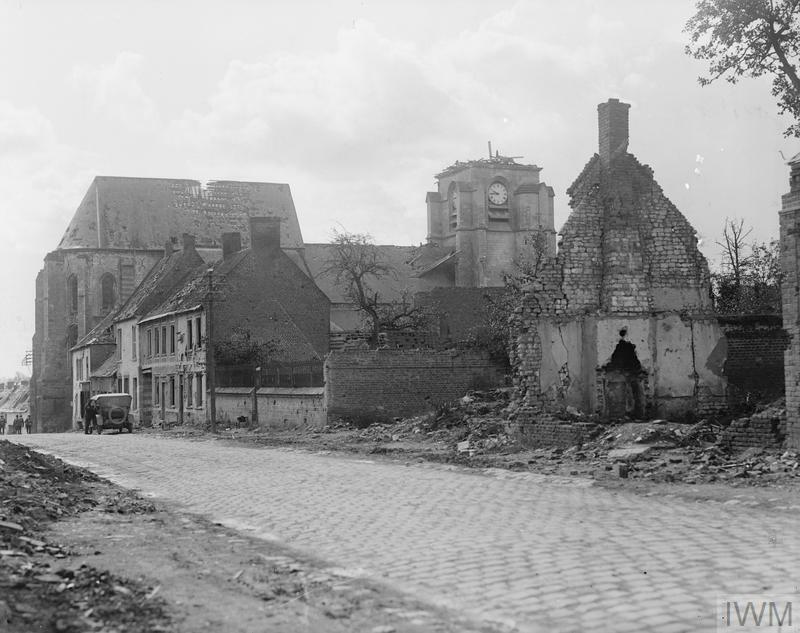 Bray-sur-Somme fell into German hands in March 1918, but it was retaken by the 40th Australian Battalion on the following 24 August. 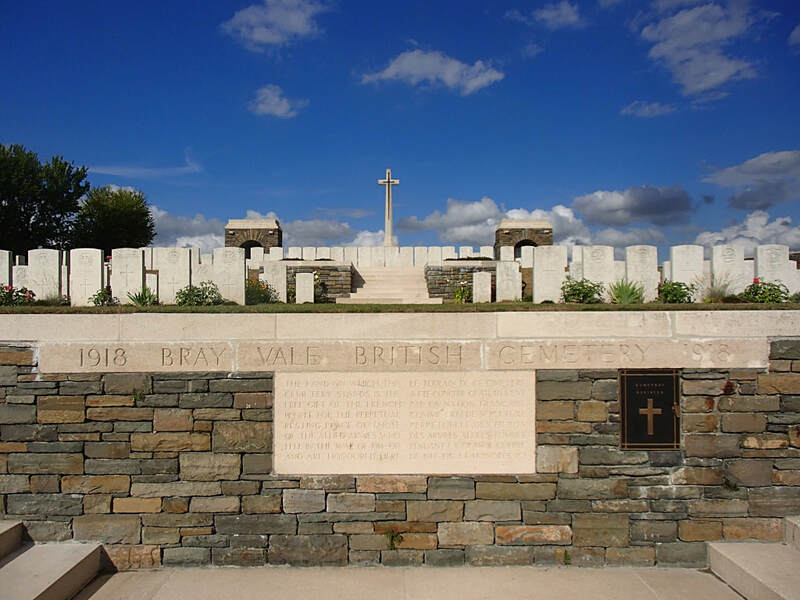 Bray Vale British Cemetery (called at one time Bray No.2 British Cemetery) consisted originally of the 25 graves (of August 1918) in Plot II, Row A, but it was enlarged soon after the Armistice when further graves were brought in from the neighbourhood. 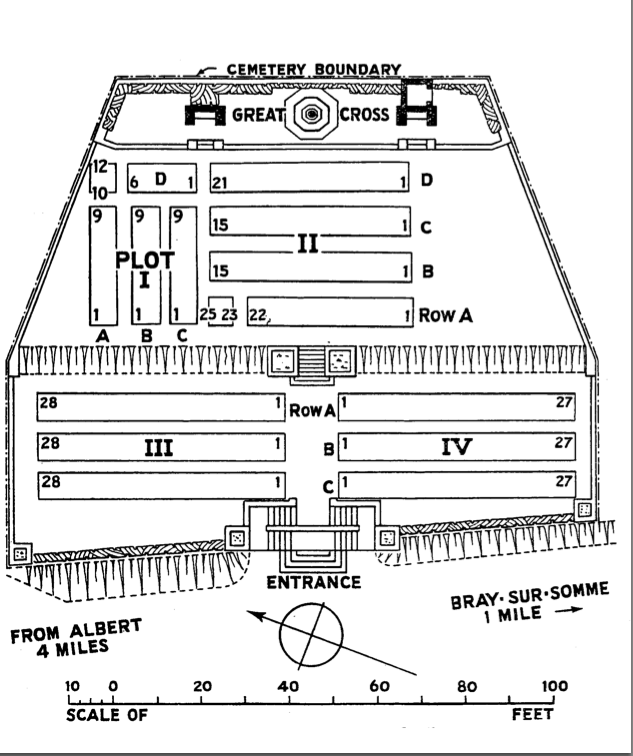 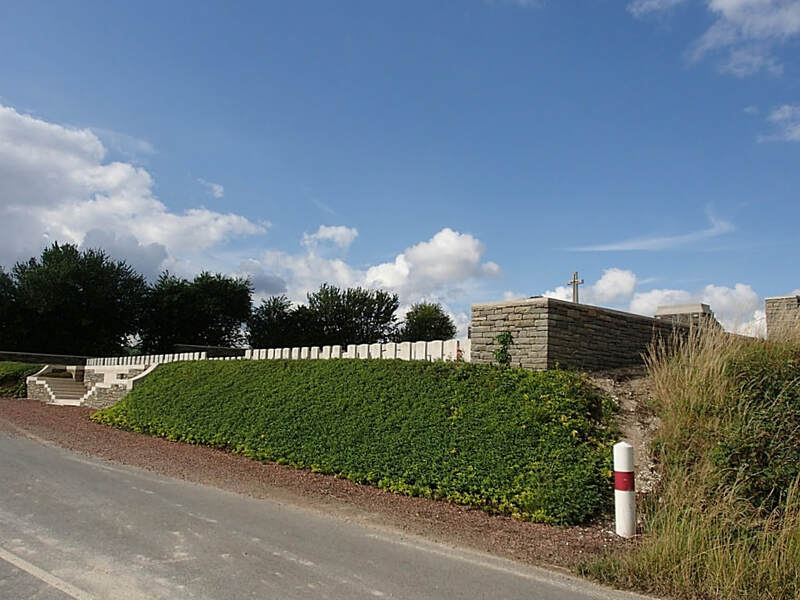 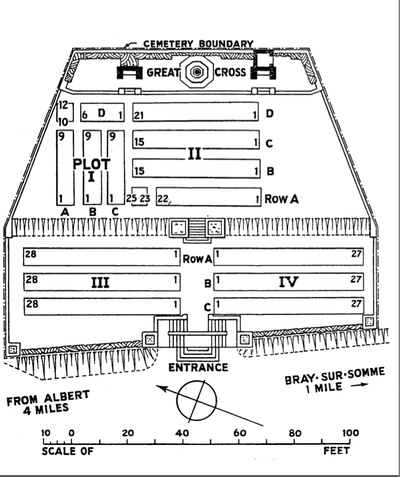 In 1923 the space between the cemetery and the road, now Plots III and IV, was filled by graves brought in mainly from the battlefields of 1916 round Thiepval and Courcelette. 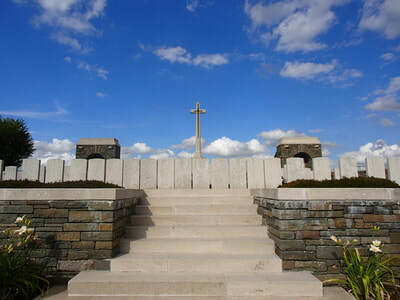 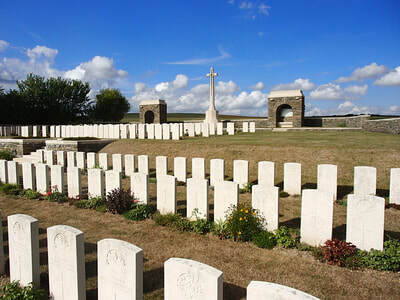 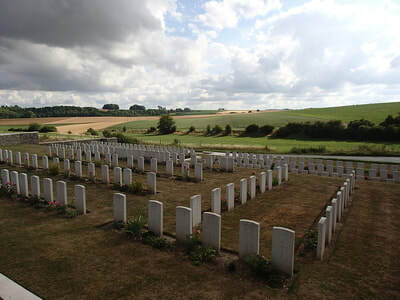 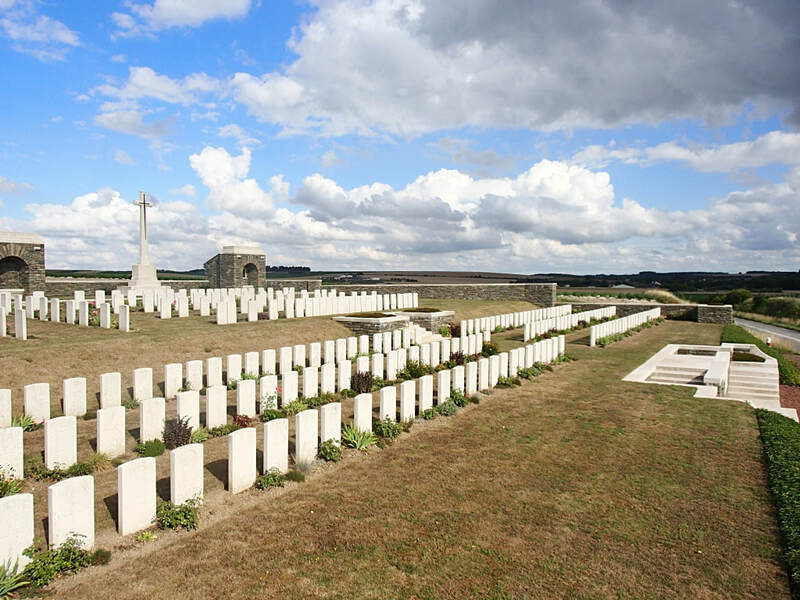 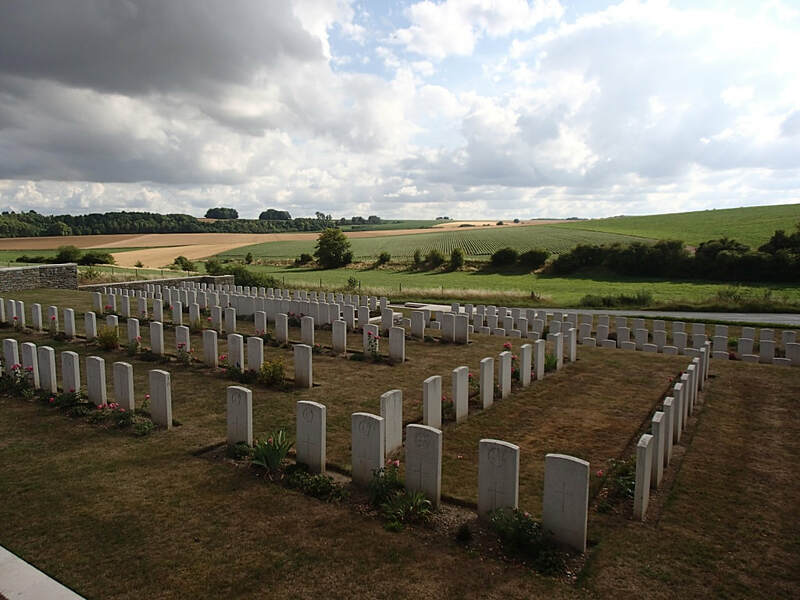 The cemetery contains 279 First World War burials, 172 of them unidentified. 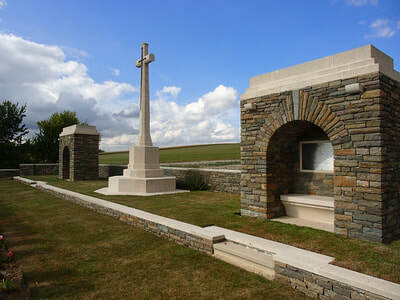 Alfred Gordon Farleigh, M. C.
33rd Bn. 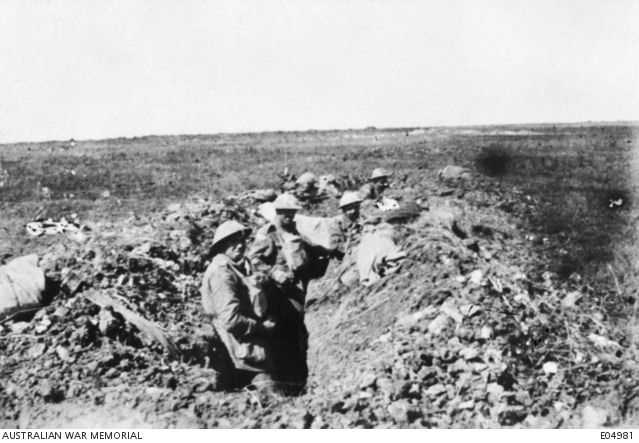 Australian Infantry, A. I. F.
22nd August 1918, aged 32. 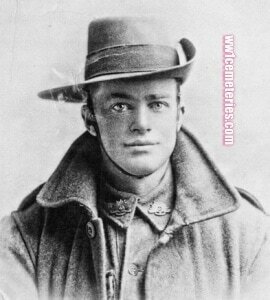 Son of Edward Manicom Farleigh and Elizabeth Farleigh. Native of Arncliffe, New South Wales. 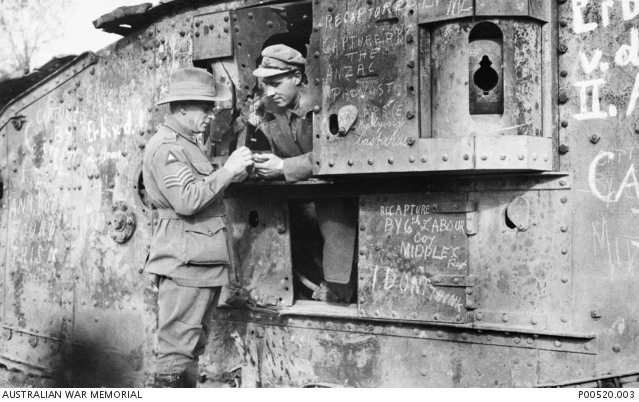 With seven years service in the Citizens' Military Forces (CMF), Alfred Farleigh enlisted as a Lieutenant (Lt) in March 1916 and left Australia for England with the 2nd Reinforcements of the 33rd Battalion in August 1916. 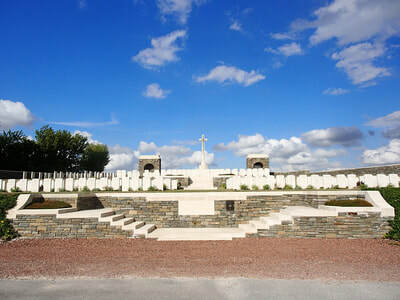 After arriving in France for service on the Western Front in December 1916. he was sent to England and transferred to the 61st Battalion as part of the newly raised 6th Division in March 1917. 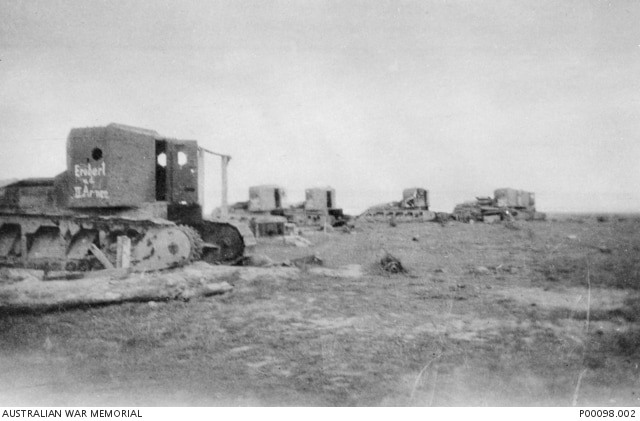 When the Division was disbanded without active service, Lt Farleigh returned to the 33rd Battalion in October 1917. After being awarded the Military Cross (MC) for "conspicuous gallantry on the night of 4/5th March, 1918 during a raid on enemy trenches in the vicinity of Warneton", Lt Farleigh was gassed at Villers-Bretonneux on 16 April 1918. 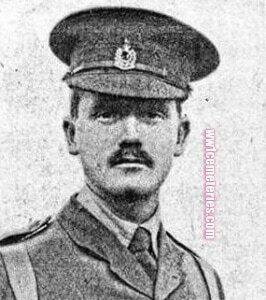 Lt Farleigh was killed by a artillery fire nine days after rejoining the battalion at Bray-sur-Somme on 22 August 1918, aged 32. 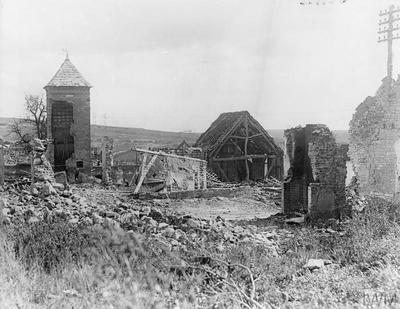 38th Bn. Australian Infantry, A. I. F.
24th August 1918, aged 26. Son of Richard and Ellen Forrester, of Towaninnie, Victoria, Australia. 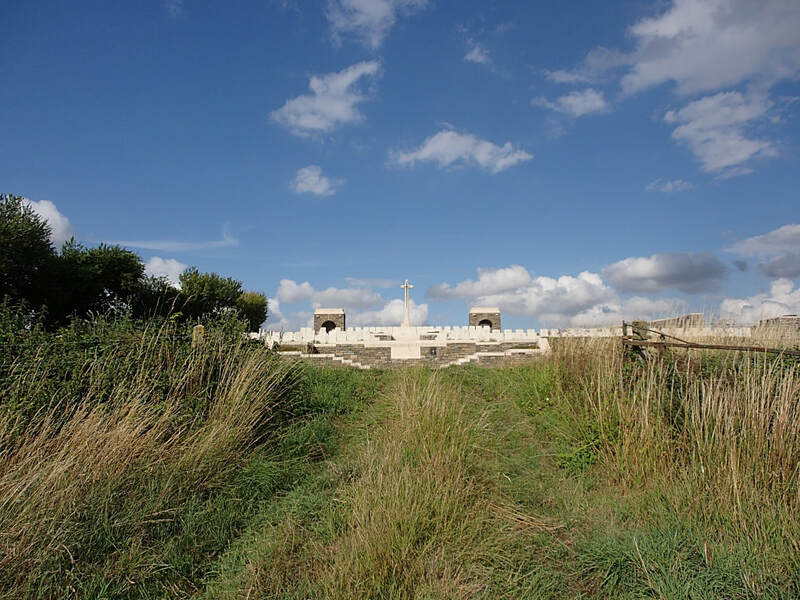 Formerly a farmer, Pte Forrester enlisted on 5 September 1916 and as a member of the 23rd Reinforcements he embarked from Melbourne, Vic, aboard HMAT Hororata (A20) on 23 November 1916. He served later as a Lewis gunner on the Western Front with 38th Battalion, where he was killed in action on 24 August 1918, aged 26. Killed instantaneously by Machine Gun bullets to the body and head whilst covering the advance with his Lewis Gun. September 1918. A recaptured tank near Bray, on the Somme.